Let me clarify, I was never pregnant. I was merely a freak-planner to a fault. 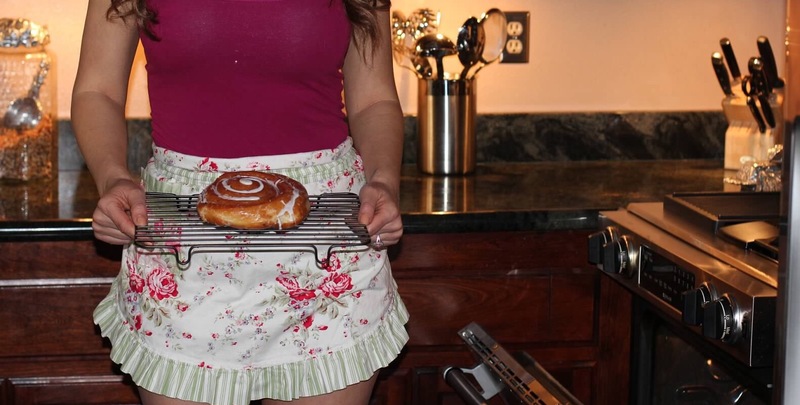 I fell in love with the baby shower theme “Bun in the oven” so I had my girlfriend take fun pictures of me taking a cinnamon bun out of the oven. I printed one out and made a cute frame for my husband. He was to find it in the oven on a cute little baking tray with a daddy book and the pregnancy stick. Adorable, right? I even went as far as ordering little favors for how we would announce it to the family. I did all this because one could never be too prepared, right? Big fat wrong. While “trying for baby” I got one false positive. They are emotionally and painfully real. Going through the fertility testing was excruciating for me. I felt like my womanhood was being questioned. Am I less of a woman if I’m infertile? Then all of the what-if scenarios come into play. What if there’s something wrong with me? What if I never have children? What if my husband wants to leave because I can’t bear children for him? My results showed I have what’s called “diminished ovarian reserve.” Turns out it’s a known side-effect of Accutane, a super serious acne medication I took in my early 20s. I did a low dose for about four months. I’ll never know if that’s what caused my issues, and I’m content with that. The doctor told me it was “unlikely” we would conceive naturally but that it was “very likely” I would miscarry if we did. Having friends experience miscarriages in all terms of pregnancy, I thought I definitely don’t want to go through more pain. Hearing the results was intense. I think I cried for 24 hours straight. Even watching episodes of “Friends” couldn’t stop that empty-ache in my heart. Words can’t explain what it felt like. It was awful. We jointly knew adoption was for us. I rarely take this walk down memory lane because I truly have no desire for a biological child. I never would have believed I would be here. This place where I’m an adoptive mom to a gorgeous girl.I text with her biological mom frequently. We are hanging out this weekend and going to my friends daughters’ first birthday party. Back to the garage. I held this photo in my hand and stared at a picture of myself. I thought, “Man, that girl had no idea what kind of life she was in store for.” I showed my husband, he hugged me, and I put it back in the box. If you are currently an empty armed mother, just know your heart can get through the pain. The saying really is true, “Motherhood is a miracle, no matter how it comes to you” for more reasons that one. The Mighty is asking the following: Are you a mother with a disability or disease? What would you tell a new mother in your position?If you’d like to participate, please send a blog post to [email protected] Please include a photo for the piece, a photo of yourself and 1-2 sentence bio. Check out our Submit a Story page for more about our submission guidelines. Christina Smallwood is a 31-year-old mother to a child with mild cerebral palsy. She is pursuing her passion as an advocate for open adoption (her daughter was adopted) and CP. She loves to use fashion to spread awareness through her mommy and me Instagram account, fifiandmo.